Link to this Site – Easy instructions to place a link on your site or blog. Animal Sanctuary Info – Information and resources regarding animal rights and animal santuaries. Biodiversity Conservation Source – designed to inform and educate people everywhere, to whom fall the crucial task of the stewardship of the Earth. Biodiversity, Food Security and GMOs – making sense of the agricultural needs of humans combined with the importance of preserving critical biodiversity. Dancing Star: Animal Rights – about guarding the rights of the millions of different families of animals with whom we share the earth. Dancing Star: Earth Preservation – programs designed to preserve the critical biodiversity of life on the planet. Dancing Star: Endangered Species – preserving the incredible range of flora and fauna on the earth is critical to our survival. Dancing Star: Nonviolence – The commitment to nonviolence including a reverence for all life — human, animal, and flora. It encompasses total vegetarianism, as well as a drive to maintain biodiversity. Dancing Star: Sanctuaries – Information about farm animal and wildlife sanctuaries around the world. Hotspots, the Movie – a sobering, yet up-beat view from the frontlines of conservation biology: the trench warfare, the subtle policy decisions, the slippery slopes, the unknown dimensions, and the very real creatures whose lives hang in the balance of human behavior and choices. Shot with multiple teams on numerous continents, HOTSPOTS reveals species never seen before, or filmed for the first time; and many of the most endangered mammals, birds, and invertebrates in the world. 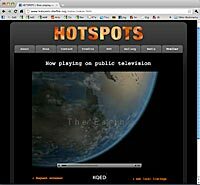 Three years in the making, HOTSPOTS is an uplifting, emotional experience. The film provides reasonable, grounded solutions, hope, and inspiration at a time when the planet is in turmoil, and the politics, rancor and uncertainty embedding environmental debates never more acutely felt. Sanctuary, the Book – Paying tribute to those safe havens where life can flourish in peace, this handsome volume introduces us to 24 nature and wildlife sanctuaries in 20 countries around the world. 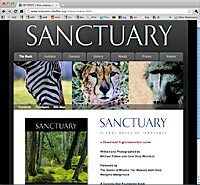 The sanctuary movement combines the principles of conservation biology with an interest in protecting individual members of each species, whether plant, animal, or human. The authors traveled from deserts to rain forests, from mountains to seashores, and from farmlands to urban centers, and they devote a chapter to each location, revealing that particular sanctuary’s unique focus. The photography is superb, but the overall result is much more than a collection of pretty pictures. The accompanying essays provide a bit of history and a glimpse into the personalities involved in each sanctuary’s creation. The book also serves as a valuable cultural resource, as it takes a look at the cultures that host each of the locations discussed. 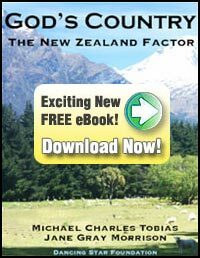 Vegetarianism and Veganism – examines critical ecological trends across the planet during the first decade of the 21st century, and focuses particularly upon New Zealand as a profound example of a nation with a remarkable record of conservation commitment.